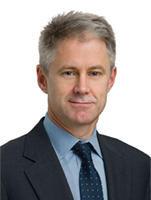 Edward Horton is a partner in Seward & Kissel's Capital Markets Group. Mr. Horton focuses his practice on corporate securities law and has represented domestic and foreign issuers and underwriters in connection with a variety of securities transactions, including initial and secondary registered offerings of equity and debt securities, Rule 144A and Regulation S offerings, private equity investments and other private placements. He also advises domestic and foreign public companies with respect to securities law compliance matters, stock exchange listings and corporate governance matters, and advises institutional shareholders in connection with contested proxy solicitations, activist investing and related matters. Mr. Horton also represents private investment funds and investment managers in connection with a variety of business transactions and securities law matters.